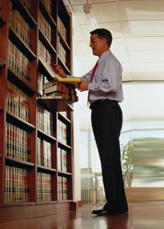 Newdorf Legal handles business and government litigation throughout California. Our work includes trials, appeals, arbitrations and medaitions in California and Federal courts. Newdorf Legal represents businesses, executives, financial institutions, investors, and public entities in business litigation, contract disputes, business torts/interference with contract, joint venture/partnership claims, real property transactions, development rights, fraud, RICO and other commercial litigation. Newdorf Legal represents defendants in all phases of class actions, the State and Federal False Claims Act/Qui Tam cases, Unfair Practices/Unfair Competition Law (Business and Professions Code section 17200), False Advertising, and Consumer Legal Remedies Act cases. Mr. Newdorf has extensive experience in government entity representation in California. He represents local government in a variety of litigation matters, from commercial disputes to challenges to local ordinances, policies and practices. Newdorf Legal represents public entities, public officials and law enforcement officers in state and federal civil rights lawsuits, including suits under 42 U.S.C. section 1983 alleging unconstitutional statutes and policies, false arrest, excessive force and unlawful search and seizure.